Here at Keytek® we pride ourselves on providing the best customer service. From our office staff to the engineers on the road, we strive to maintain only the highest level of customer care. To make sure that we maintain our high standards we get regular feedback from our customers. We are grateful for customers leaving feedback, positive or negative, as it allows us to develop and adapt our service for the good of our customers. We are pleased to say that most of the feedback we receive is positive, as you can see from the reviews on this page. We have teamed up with Which? TrustATrader, Feefo and Trustpilot, so if you woul dlike to see anymore of our reviews (or add one yourself!) then check out our pages. If you would like to leave some feedback for Keytek® then please fill in the form at the bottom! 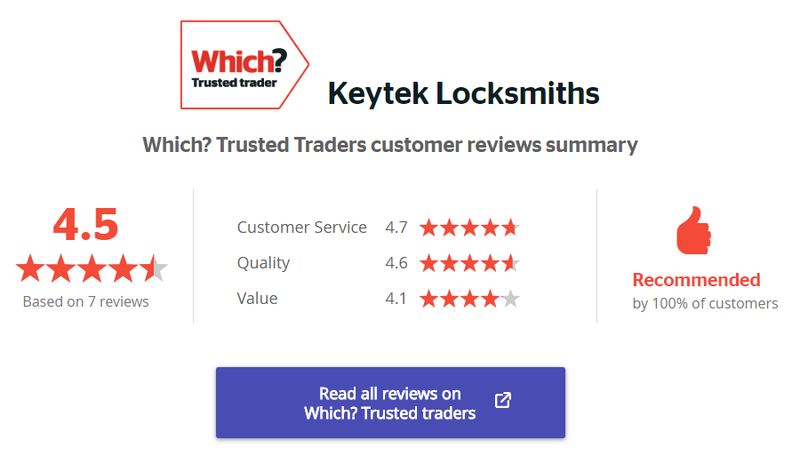 Please leave some feedback about how you found Keytek Locksmiths Services. How did you find Keytek Locksmiths Services?